It is a common misconception that marijuana is not addictive. But just like any drug, despite all of its more endearing medical qualities, cannabis can be addictive. While some people are purely casual users of cannabis, when use becomes daily or even necessary in order for a person to function, then the odd toke at a festival has become an addiction. This is medically known as cannabis use disorder or CUD. 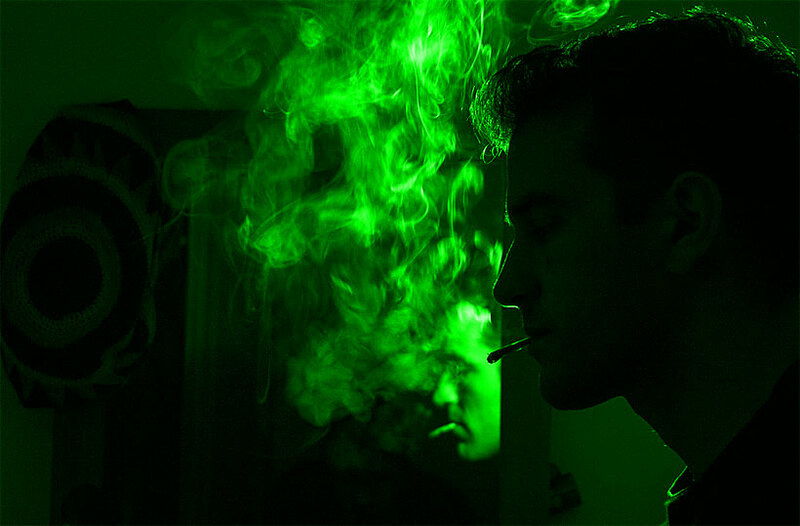 Whilst most users smoke marijuana in order to get a high, prolonged chronic use can cause medical issues such as insomnia, mood swings and depression. It can also cause dependency on the substance in order to function in daily life. The good news is that most casual users who realize they have started to develop a dependency are able to quit on their own, depending on how severe their habit was. But for those who used the drug exclusively, the rehabilitation process may be harder to shift without help. One thing to remember is whether you roll with tobacco or not, you are very likely to experience withdrawal. Ironically marijuana has the same effects on the body during detox as nicotine, causing difficulty sleeping, irritability and increased cravings, so if you’re also thinking about ditching the cigarettes, now might be a good time to start. As with all addictions, those with severe dependency on cannabis may need to go to a medical unit to aid with their detox. In these instances detox can be extremely stressful and so by attending a medical unit, patients can receive all the care and support they need to get through the rough patch. Other treatments involve cognitive behavioral therapy, where a trained professional will teach you strategies for coping with and altering your behavior. Contingency management therapy will look at what ‘rewards’ you find in using and seek to replace the undesired behavior with something of equal pleasure. Alternatively, there are also medications available that can help with the process of managing life without marijuana, such as sleep aids or any anxiety drugs to help you manage your symptoms. Of course no recovery ends simply by deciding to stop. Marijuana it is able to stay in your system from anywhere between 30 to 120 days since ingestion. Recovery is not a quick fix. There are many support groups and care center options to help you stay sober after the transition. These support groups will offer advice, encouragement and even the opportunity for you to help others in a similar situation by sharing your own experiences in group discussion. If a group meeting isn’t your thing though, there are also the options of private therapy and speaking with friends and family. The important thing though is to try not to go it alone, and seek support from loved ones and professionals where possible. For further information and advice about the Marijuana Addiction please consult your doctor. This article is not a substitute for medical advice.